SERVICES PROVIDED: See the "Scope of Services" section of this Agreement. BASE FEE: Permit acquisition services will be billed on a "time and materials" basis at the rates indicated in the "Fee Schedule" section of this Agreement. PAYMENT SCHEDULE: The invoices are issued at permit issuance and on the second and fourth Mondays of the month. Invoices are due upon receipt and subject to late penalties after 30 days. 1. Make inquiries to government agencies and determine what is required for a project. 2. Submit necessary documents to agencies for review. 3. Regularly perform status checks until plans are approved or corrections are specified. 4. Deliver revisions to the client/architect and then resubmit to each appropriate agency. 5. Gather all paperwork for the final sign-off. 6. Fed-Ex or deliver permit cards. Any Additional or Miscellaneous services will be billed according to the Fee Schedule. Delivery (permits & cards) $40-/hr. 1. The Client understands that it may not be possible to acquire a building permit for which the client and/or his/her agents have submitted an application due to a variety of factors outside the influence of SD Permits (.com). The Client understands that any fees paid for plan reviews (processing service or municipal) are not refundable once a plan review has commenced. The municipality’s acceptance of plan review fees is no assurance that a permit will be issued. 2. The Client binds themselves, their partners, successors, executors, administrators, and assigns to this agreement. 3. Late payment of bills by Client constitutes damage to the SD Permits (.com). Client shall pay SD Permits (.com) an additional late payment charge of 10% of the unpaid balance per month on overdue bills to account for said damage. This late payment charge will begin to accrue 30 days after the original invoice. 4. Failure to pay bills by Client for over 90 days will result in a lien being placed on the Property (located at “Property Address”) with all expenses and legal fees for preparing the lien added to the sum total of all outstanding debts and late penalties, which shall be recorded against the Property. 5. In the event that the permit application be suspended, abandoned, or terminated for any reason, the Client shall pay SD Permits (.com) for all accrued costs and services related to the Project. 6. In the event of a dispute regarding the interpretation or enforcement of this Agreement, including any alleged failure to perform, omission or negligence, the parties agree that the forum for said dispute shall be San Diego County. Said dispute will be resolved pursuant to binding arbitration according to the rules and procedures of the American Arbitration Association in San Diego County. 7. Client agrees to defend, indemnify and hold harmless the SD Permit (.com) and all of its personnel from and against any and all claims, damages, losses and expenses (including reasonable attorney fees) arising out of or resulting from the performance of the services, provided that any such claim, damage, loss or expense is caused in whole or in any part by the negligent act, error or omission and/or strict liability of the Client, anyone directly or indirectly employed by the Client (except SD Permits (.com)), or anyone for whose acts any of them may be liable. 8. Services provided within this Agreement are for the exclusive use of the Client only for the specific project address(es) and/or lot number(s) indicated in this form. 9. 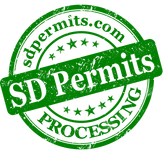 SD Permits (.com)’s liability for any omission, negligence or error in any services provided under this Agreement shall be limited to reimbursement of the processing fees (not municipal fees). 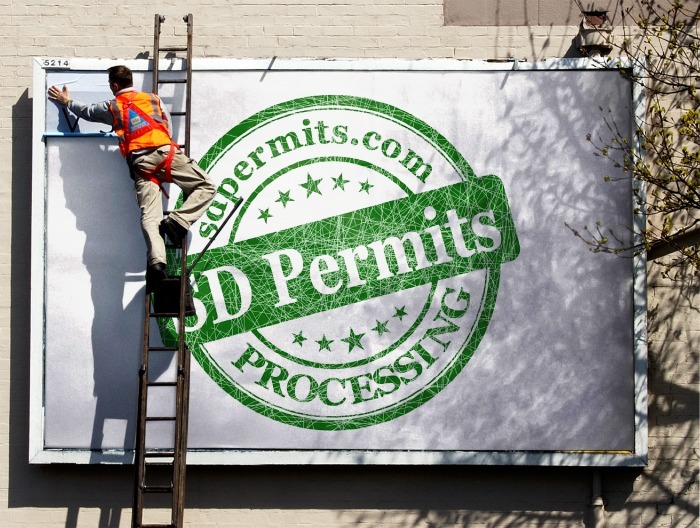 SD Permits (.com) shall not be liable for any consequential damages, including but not limited to delays, loss of profits, use, business, goodwill, down time or any other damage. 10. There is no understanding or Agreements except as herein expressly stated, and any modification to this Agreement must be in writing. To the extent that there is any ambiguity, this Agreement shall not be interpreted or construed against the party who drafted the provision.